Tacchini's constant and passionate research about furniture design always brings the company to discover new shapes, materials and creative personalities, but also to rediscover historical design matters. Even if Tacchini presents it today with a new name, Agnese, the armchair is produced in a very accurate way and with extreme fidelity to the original design. 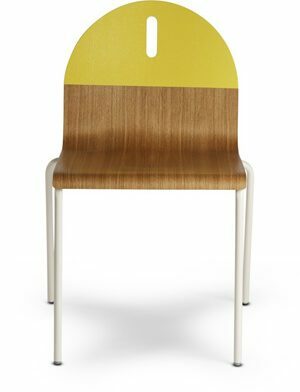 The ash wood structure has different finishes whilst the shell, the backrest and armrest finished with sartorial seams come together in harmonious combination. Moreover, following from Frattini's original project, the armchair is accompained by a matching ottoman. Agneses is just the beginning of a comprehensive project that aims to support the revival of a great designer's style but also an entire atmosphere of interior decor.